Oh Paris. City of Love and City of Light. You with your grand buildings, grand landmarks, grand shopping, and grand attitude. We’d met before when I walked your lamp lit streets and marveled at your monuments with my husband some years back. I added Paris to our plan of golfing in Scotland and figured I’d love Paris and like Scotland. It turned out it was the other way around. This time, it was a girls trip: just me and my daughter. A dream trip. We’d been planning it for months and were so very excited about it. And you didn’t disappoint Paris. We came home with memories and stories to last a lifetime. 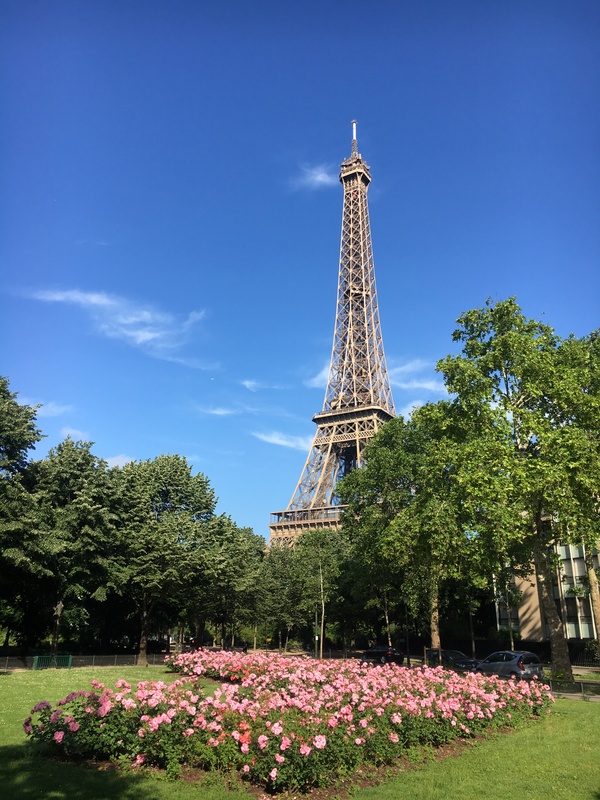 If you’ve ever been to Paris, you know the drill: the iconic Eiffel Tower, the Mona Lisa and other works of art at the Louvre, glorious Notre Dame, the Champs-Elysees and its dominant Arch de Triomphe. And fan or not, the Alma Tunnel, Alma Bridge, and the flame that stands above it serve as memories of Princess Di and have become tourist spots in their own right. But, it can all be overwhelming. 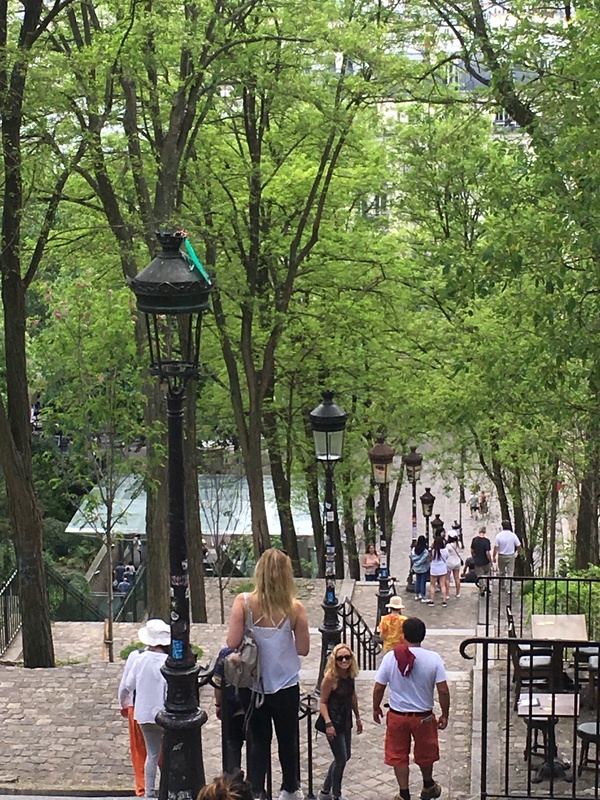 There is sooooo much to see and do in Paris, and maybe that’s why it’s the world’s most visited capital. Even though I’d been there and seen that, I looked forward to doing it all again with my daughter. She’s not a big museum kind of girl, but we got in what we could. 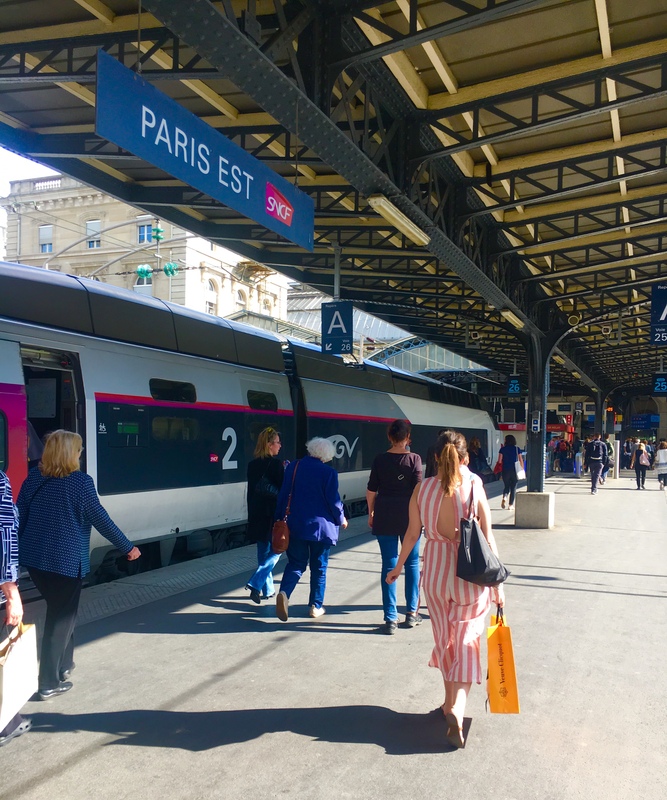 In between we had two other things to tend to: a train ride to visit champagne country and attend the French Open…both Bucket List items for each of us. 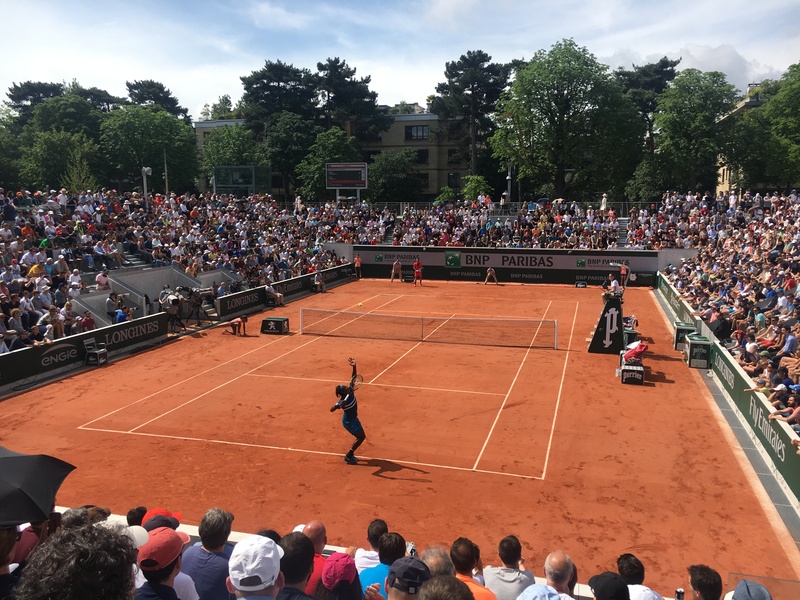 I’m still pinching myself just thinking that I was actually at Roland Garros. We took a taxi to Roland Garros, as we did many times in the city. Can I just say the driving is insane? There are literally no lanes, tons of scooters scooting in and out of traffic, and it’s a total survival of the fittest to say the least. 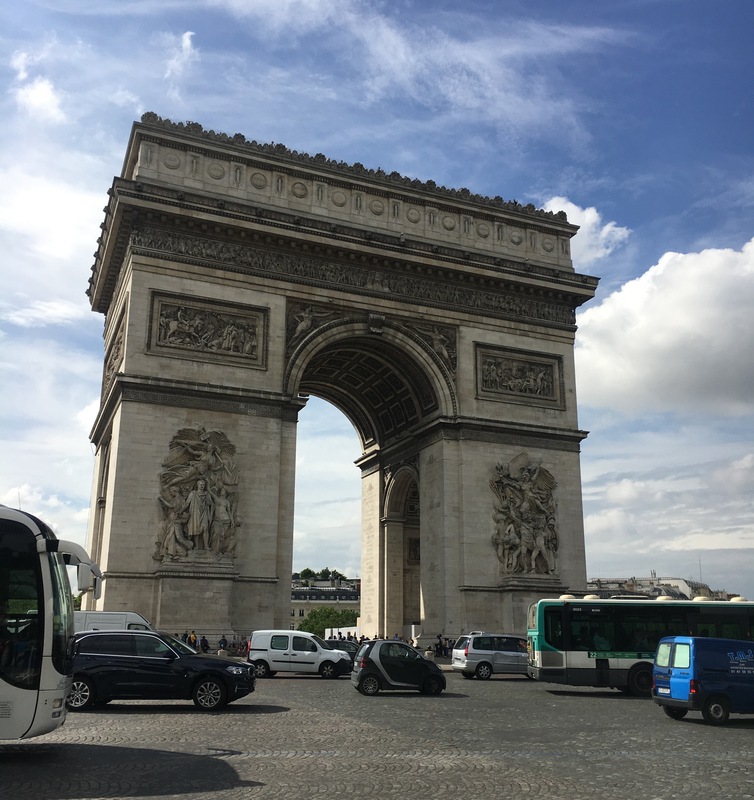 The areas around the Arc de Triomphe and Place de la Concorde are dire straits of streets with cars, busses, and scooters weaving in and out, sometimes sideways, and virtually stopping in the middle of an intersection. I cannot even fathom driving in Paris. Thankfully I will never have to find out. Paris is much more than towers and museums though. It’s as much about the food and the people as it is the glitz and the glam. Let’s start with the food. 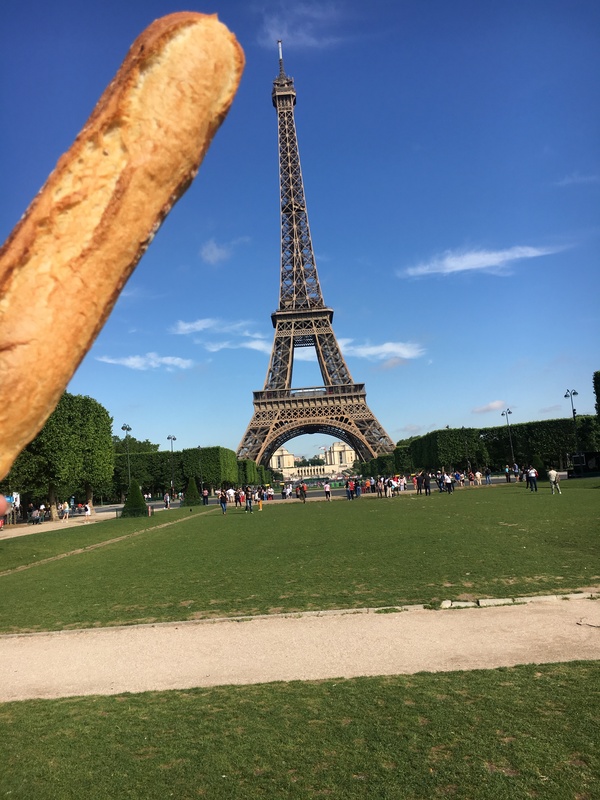 If there’s one word that describes Paris cuisine, it’s bread. Bread is everywhere. You sit down, they give you a basket of baguettes. Crunchy, flavorful, fresh baguettes. My daughter is quite the health nut but while in Paris her “no carbs and no sugar” mantra be damned! We ate bread till we couldn’t eat anymore. We also ate plenty of desserts, including Hotel Costes’ legendary cheesecake (truly the best I’ve ever had) and mounds of macarons. How amazing those little gems are when they’re fresh and soft. Oui oui please! The same can be said about French fries in the French capital. You want fries with that? You get a giant plate of the slimmest and crispiest little indulgences you can imagine. They go with and are served with everything. High dollar fish dish? Served with fries. Ham sandwich? Load ‘em up. As for main meals, we weren’t home so we went big. 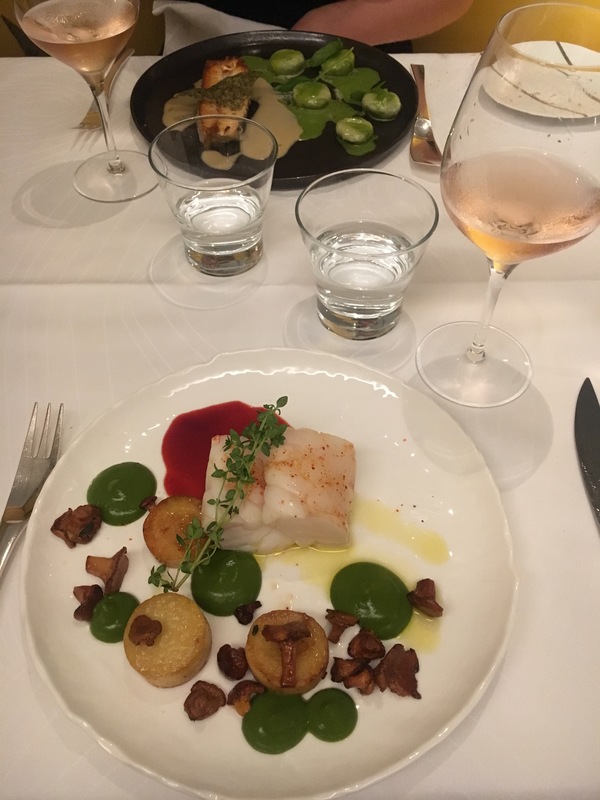 Reservations were made at some of the city’s finest restaurants and most hit the mark, although we also left some feeling a bit duped and even a bit hungry. Our favorite? 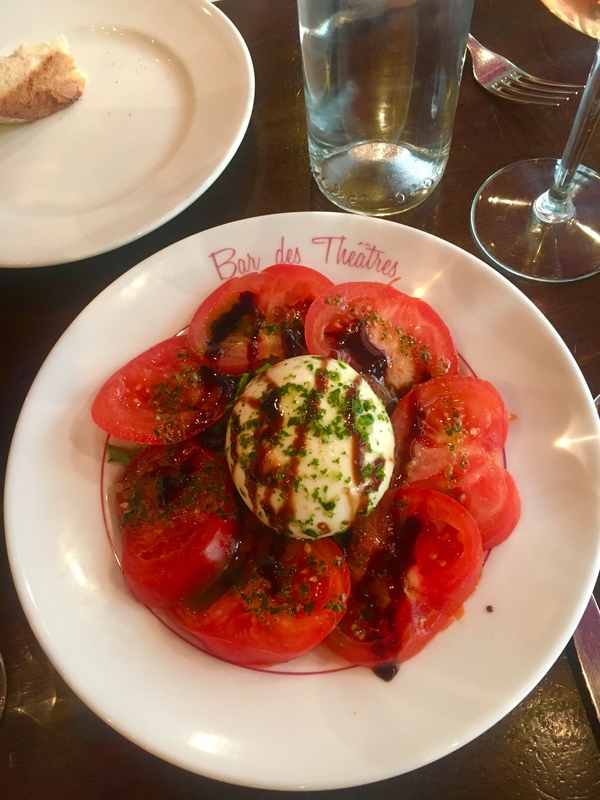 A truffle pizza and Paris’ version of caprese salad at Café de l’Homme. It didn’t hurt that we had a friendly and fun waitress from the U.S. and that we sat in full view of the Eiffel Tower, but even without those bonuses, the pizza was uh-mazing. So amazing we ordered two! I highly recommend making dinner reservations, or “bookings,” for meals. Luckily we had some and our hotel assisted in others. 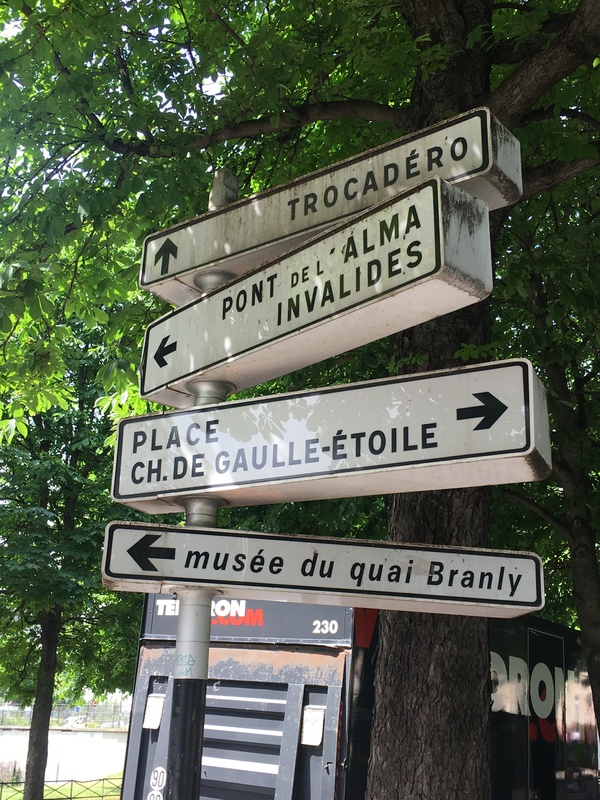 One of the first things I asked our driver from the airport upon arrival was whether the French took siestas much like the Spanish and Italians. He assured me they don’t. Major faux pas. 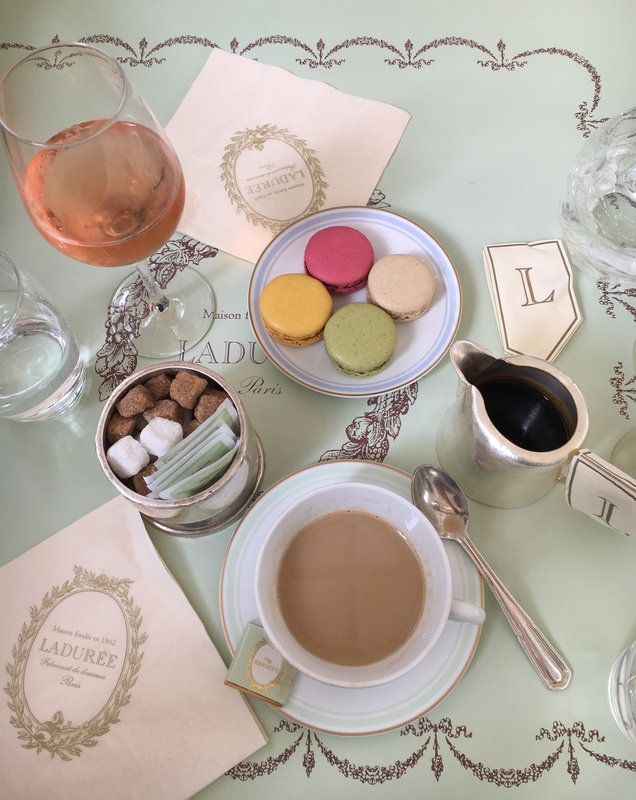 Countless times we’d grab a croissant and café au lait for breakfast, walk and tour, eat lunch, and around 2 or 3 p.m. were in need of a glass of rose and a cheeseboard. We’d enter an open door and a restaurant fully staffed only to be told “we are closed.” What? Your door is open, the waitress is right there. But no, many places close between 2 and 7 p.m. That’s when they start dinner service, which normally would feel so late but after a day of so much, it was actually a treat to not have to eat dinner until even a 9 p.m. reservation. Lessons learned. 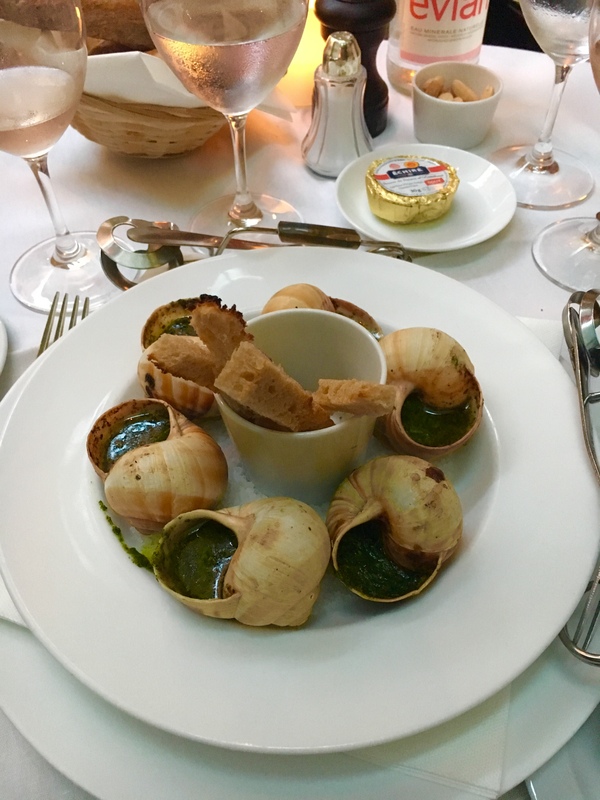 We also stood by our “when in Paris” vow and tried the city’s trifecta of traditional cuisine: steak tartare, foie gras, and escargot. Truth be told we hated steak tartare and the foie gras. Regardless of how sophisticated it is considered and how seasoned it is prepared, being served what looks like a plate of raw ground beef just didn’t sit well with either of us. As for the foie gras, eewww. At first bite you think “this isn’t so bad,” but as the bite sits in your mouth, flavors and textures become more than we could bear. It didn’t help that the high-end and highly recommended restaurant we sampled it at demonstrated the worst service and common courtesy I’ve ever seen, but attitude withstanding, the stuff is no bueno. The escargot though. We loved every bite of those little snails and the sauce they are in. We learned how to eat them and how to dip the bread slivers in the empty shells and we loved every bite and every morsel. Bon appetit indeed! What we didn’t love was the service in France. 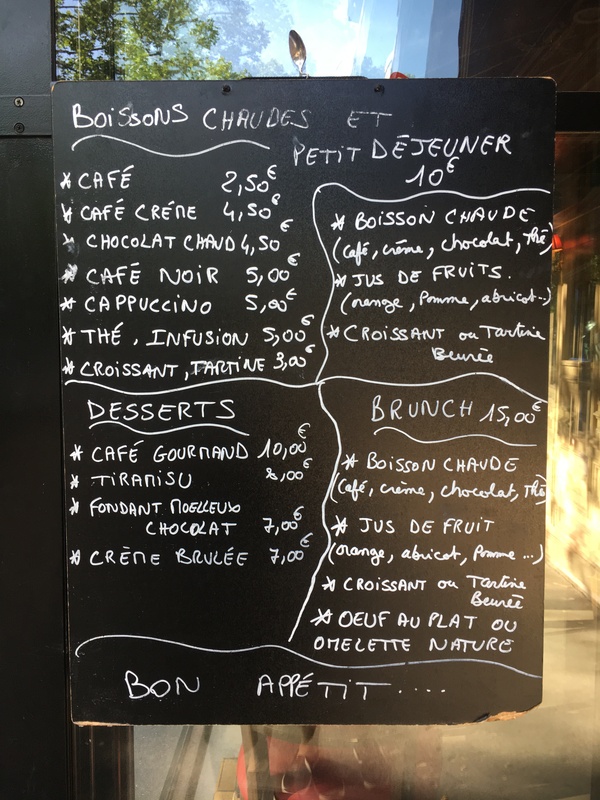 Yes, we knew full well that meals are to be savored and those American habits of sitting down, placing our order, eating our meal, and moving on needed to be cast aside in Paris. We get it. We played the game and liked it for a bit. But after a few days of sitting for sometimes 20 minutes before even being acknowledged by a waiter started to wear thin. We’ve been walking, we’ve been touring, and we’re hungry and thirsty. Please help us! Funny thing is, they really don’t care. Which brings us to the people. 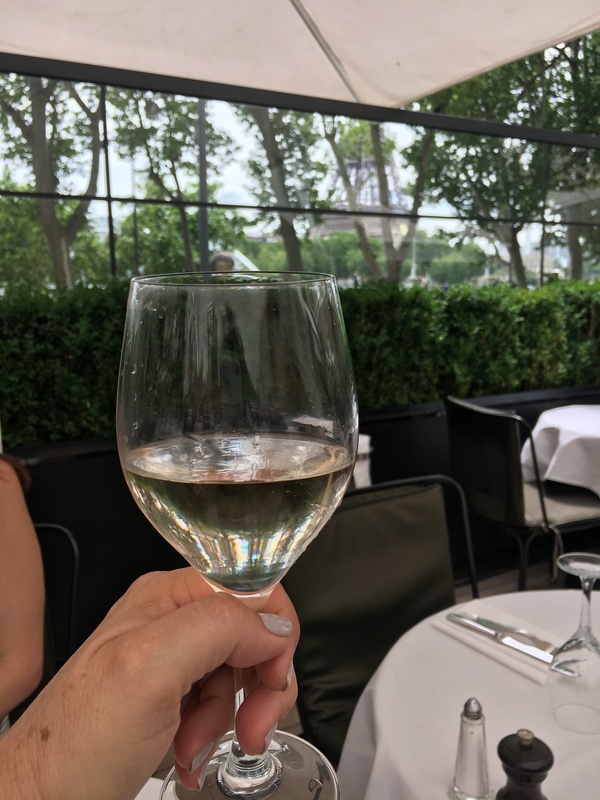 When I visited Paris previously with my husband, we were pleasantly surprised the French weren’t as snobbish as we’d been warned. In all honesty, they aren’t snobbish or rude per se, they just aren’t accommodating. Their hospitality is lacking and they are non-apologetic in every sense of the word. We joked that Parisians abide by a “too bad so sad” posture and it became almost comical. Wait for an hour and 10 minutes to be waited on? No apology. Tour you signed up for was cancelled? Too bad so sad. Paris quickly became a city of pump fakes as much as a city of pomp and circumstance. But in all their aloofness, they are irresistibly and effortlessly chic. They look good, they know it, and they own it. Like a boss. We had so much fun people watching and noting who was European and who screamed American. We discovered Euros love their stripes and they love their wireless earpods. If they weren’t talking as they walked, they were smoking while they ate. Watching it all was such a treat and full of many laughs. But can we talk about hygiene for a minute? Amidst all that style came a stench. Like no other. Seinfeld would call it “The Beast,” but let’s call a spade a spade: it’s BO! You’re walking down an open air street or sitting in a café and a whiff of the foulest body odor overwhelms you. Literally. It seemed like we were either always smelling food, fabulous perfume, or the lack of simply using deodorant. I guess it’s part of the charm. Finally people, smile once in a while. You live in this fabulous city but a smile is hard to come by and belly laughs are for those silly Americans. Shopping in Paris is fabulous. Strolling Avenue Montaigne and Rue du Faubourg Saint-Honore is like flipping through the pages of Vogue. Chanel. Louis Vuitton. Dior. Saint Laurent. Cartier. 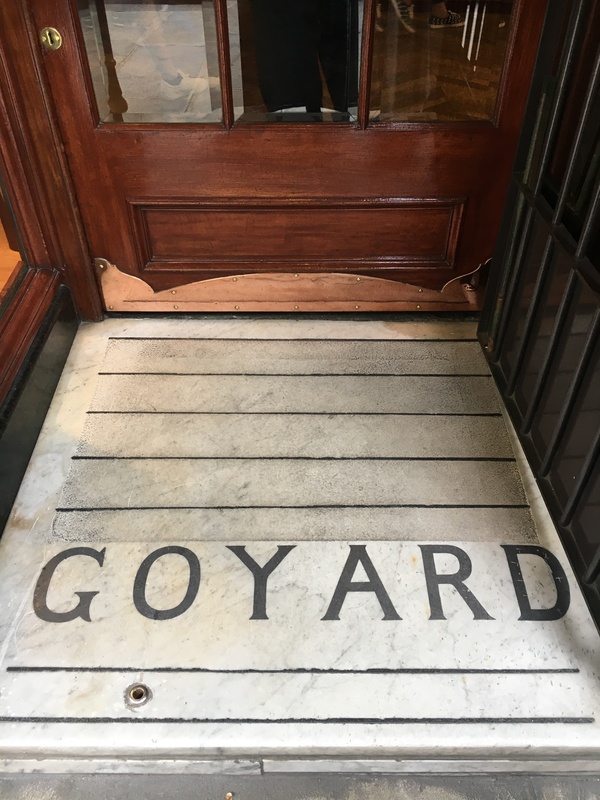 Goyard. All lined up like pretty little boxes. But, get there early to the most popular ones, as lines start forming long before the doors open. But, once inside you are treated to the fabulously renowned Parisian one-on-one service. Total “Pretty Woman” moments one after another. There’s also beaucoup mid-range shopping and souvenirs for days. 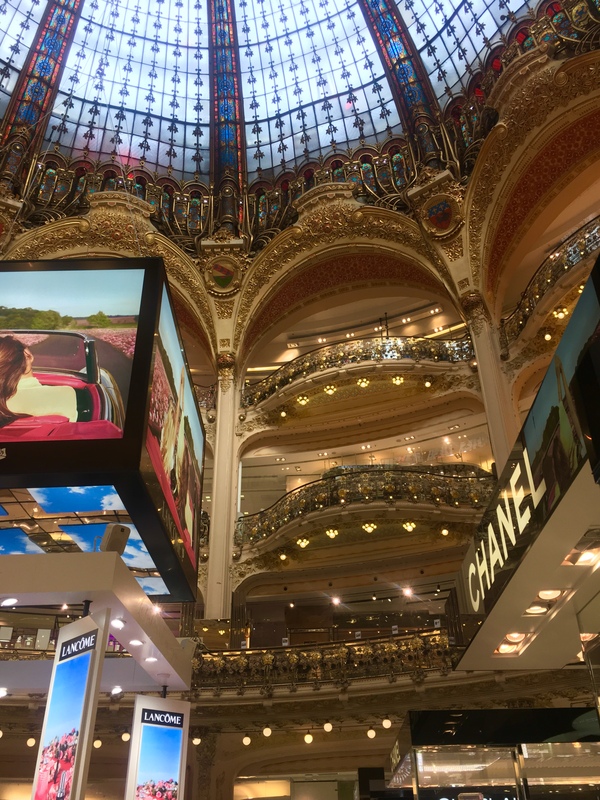 Galleries Lafayette is one of the city’s most famous department stores, but a Dillard’s it’s not. In fact, it makes Neimans and Nordstrom look like Target. Housed in a stunning multi-level ancient building, it’s worth visiting even if you’re not a shopper. 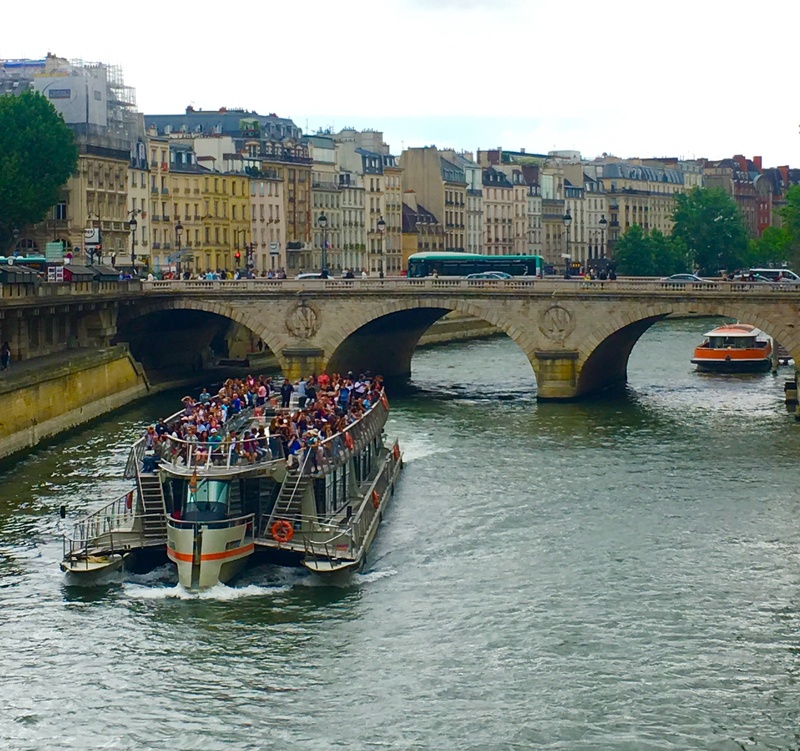 So, what did I love about Paris the second time around? Mostly just experiencing it all with my daughter. We laughed a lot, ate a lot, learned a lot, and walked a lot. Rushed as we sometimes felt, we took it all in and will forever be grateful for the opportunity to go. I loved taking in the architecture, the lanterns, the ironwork, and the windows. And really, raining or not, who doesn’t love looking at the Eiffel Tower as you eat your meal? 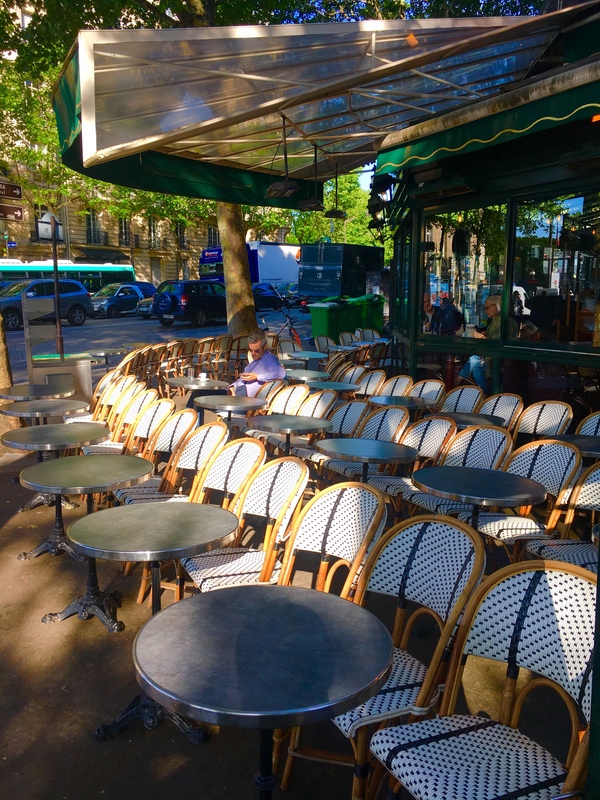 I also loved just stopping at any one of the numerous street-side bistros to take a break and take it all in. I’ve always been a fan of bistro chairs and to see them in abundance and ready for some cooling off and conversation was a dream come true. Thankfully, our hotel was perfect and I have my trusty and amazing AAA agent to thank for it. 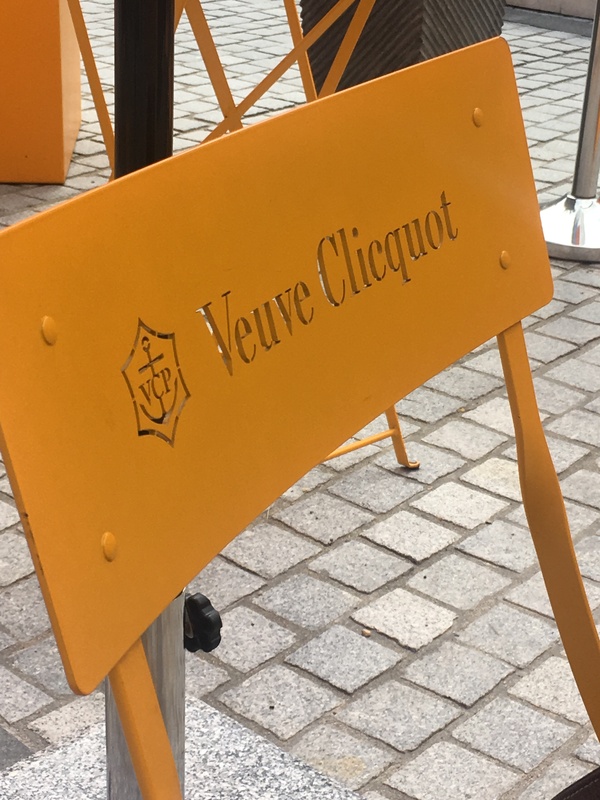 It was a smaller property on a quiet street right near the Eiffel Tower, Alma Bridge, and Avenue Montaigne and the staff was phenomenal. Did I mention Raphael Nadal and his team was staying there and we hung out with them a few times? Yeah that didn’t stink. We quickly discovered that many people we talked with were intrigued by Texas when asked where we live. They literally think we ride horses, that it’s dangerous, and wondered if we went to Barbara Bush’s funeral. They could care less about American football but have a thing for LeBron. About America in general, they find it appalling we have so many homeless, are amazed that so many things are drive through, and that we are so apologetically patriotic. And yes, they all asked about our president and we were happy to educate them on the state of our burgeoning union. In the end, Paris was, well Paris. Big, beautiful, and noisy. Our expectations were sky high, which as my husband so eloquently reminded me, is never a good thing. But, most of those expectations were met and when they weren’t, pleasant surprises quickly took their place. 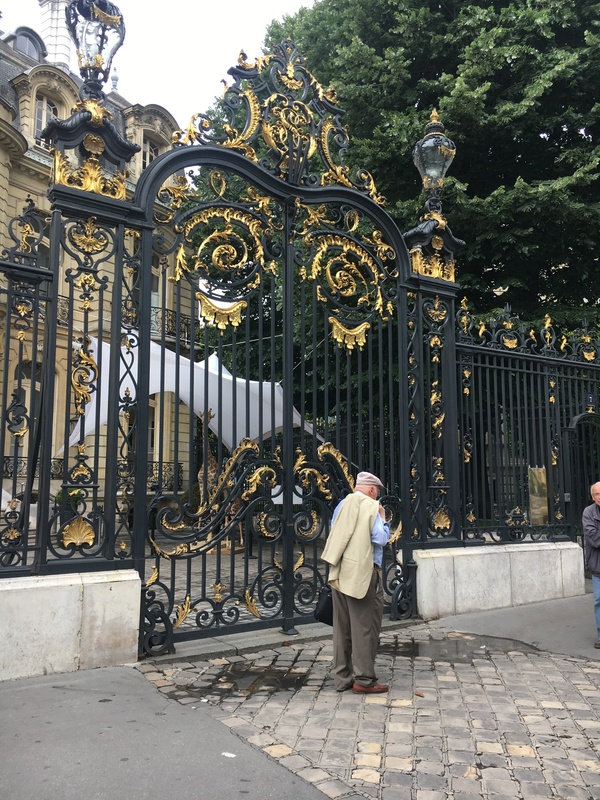 When you’re lucky enough to visit Paris with your daughter, you know you are blessed and there’s nothing a rude waiter or cancelled tour is going to change. 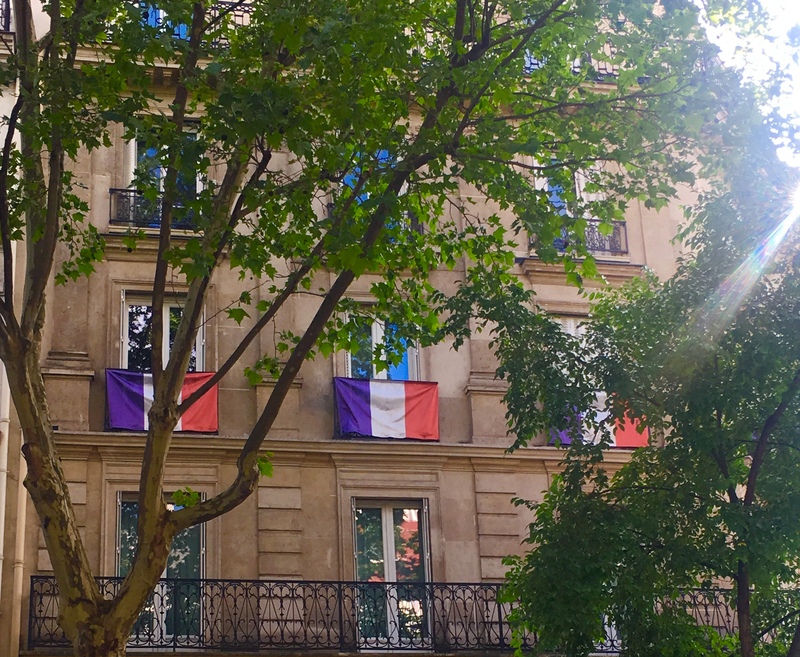 Merci Paris and au revoir! Glad you had fun there. I hope to go there someday. Next year? We are on our way on a two week trip to Ireland this Friday. I’m nervous about travel as usual but sure to be fine once we finally take off. How fun! Ireland is on my Bucket List. Still hoping to convince S he needs to golf there, but he has no interest in travel. I was a bit nervous too but you can’t worry about what you can’t control. Take something for on the plane if you think you can’t sleep. Have a blast!!!!!! Just read this article, Carla. I loved it and agree with almost all you wrote.